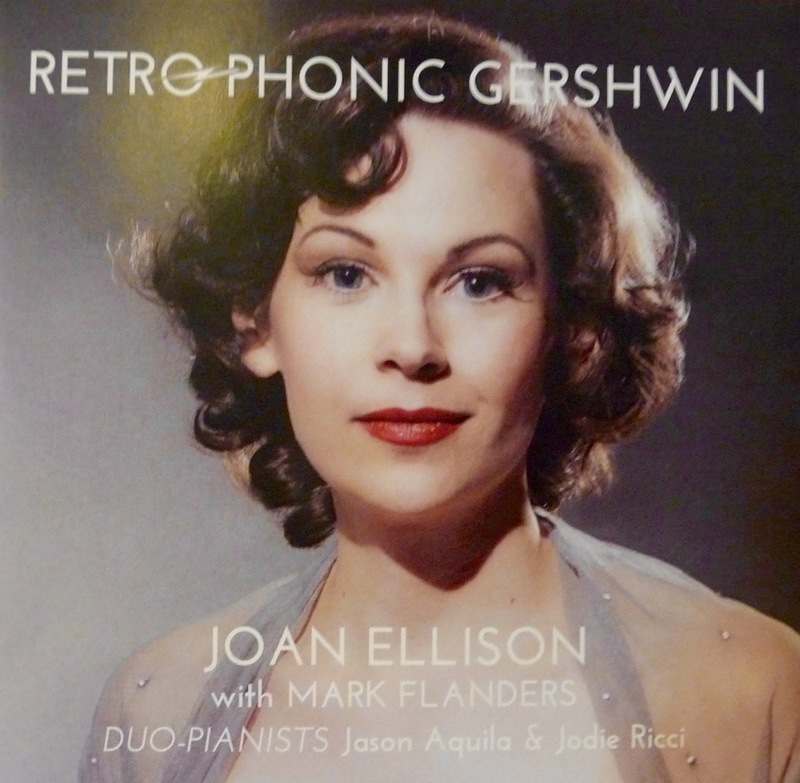 CD Review: Joan Ellison- "Retrophonic Gershwin"
This will be my last review of the year and I wanted to thank all my fellow Jazz lovers for your support during the past year. Merry Christmas and Happy Holidays to all! The CD I have reviewed below is perfect for reflecting back on past years. Just found a great new CD for anyone who loves Broadway and the Gershwins, and who doesn't? The lead artist is singer Joan Ellison who Michael Feinstein called " A rare combination of artist, archivist, and arranger. This album also features singer Mark Flanders and duo-pianists Jason Aquila and Jodie Ricci. This talented group of musicians has created some authentic and unique arrangements based on original Gershwin recordings of the 1920's, 1930's and 1940's. 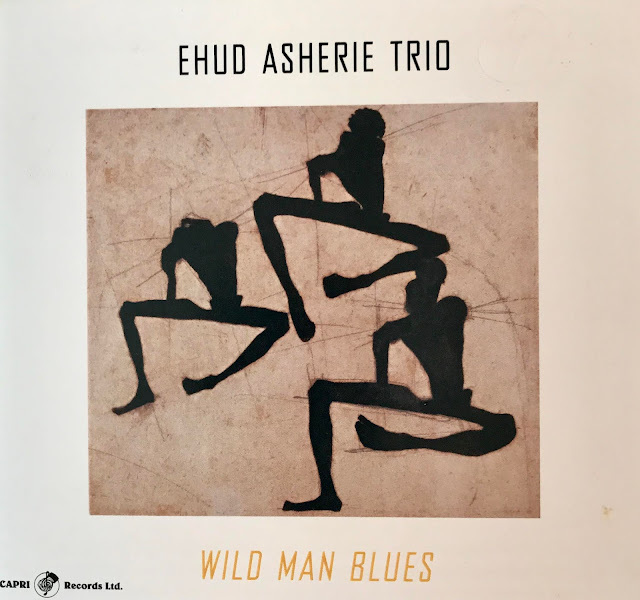 In order to make the sound historically correct, the CD was recorded on a RCA-44 reproduction microphone and a pair of 9-foot Steinways at Oberlin Conservatory's Clonick Hall and then mixed and mastered by Grammy-winning audio engineer Robert Friedrich of Five/Four Productions. Joan Ellison has been praised for her vocal skills and her crystal-clear voice. All well-deserved compliments as you will hear in the YouTube I have attached below. Joan has an excellent musical resume including Symphonic appearances in "Get Happy! Judy Garland In Hollywood" with the Wheaton Symphony, "Songwriting Giants of Broadway" with the Cleveland Pops Orchestra and "The music of Richard Rodgers" with the Erie Philharmonic. Mark Flanders has had a remarkable career which includes tap-dancing in a production of "The Boys From Syracuse" under choreographer Donald Saddler at the Ohio Theater in Cleveland, Ohio, the same stage on which Fred Astaire and Adele Astaire performed, "Lady Be Good!" in 1925. Mark has also played numerous roles in musical theatre including "A Little Night Music", Juan Peron in "Evita", Joey in "Pal Joey" and Dr. Carrasco in "Man of La Mancha". Pianist Jason Aquila holds a master of Music degree in Collaborative Piano and Chamber Music from the Cleveland Institute of Music. He was recently appointed Opera Coach at Baldwin Wallace Conservatory, and was the assistant music director for Baldwin Wallace's production of La Boheme with conductor Constantine Kitsopoulos. Pianist Jodie Ricci's experience includes music direction at Cain Park for "Sweeney Todd", "Harold and Maude","Oliver" and "Kiss Me Kate". Her teaching experience includes instruction in piano and music theory at Baldwin Wallace. Jodie is currently a member of the performing arts faculty at Hawken School in Lyndhurst, Ohio. 3. "Where's the Boy? Here's The Girl"
5. "Boy! What Love Has Done To Me!" 7. "But Not For Me"
10. "The Man I Love"
12. "They Can't Take That Away From Me"
I attached a few wonderful songs from the CD I found on YouTube to share the beautiful sounds from this album. Hit the attached site below and you can hear and see how one of the Gershwin songs on this Cd was developed.